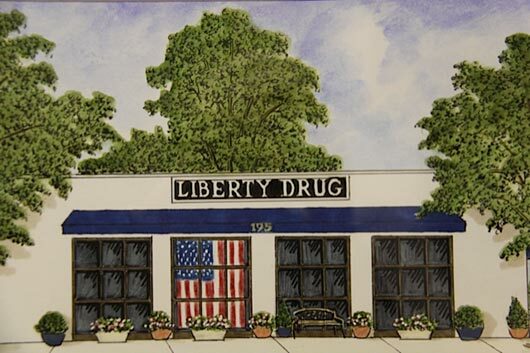 Liberty Drug and Surgical, privately owned and operated, has been serving its community since 1933. Founded in lower Manhattan, Liberty moved to Chatham, NJ in 1965, where we have evolved into a premier compounding center as well as a full service pharmacy. Our state-of-the-art compounding lab enables us to provide customized medications in a variety of dosage forms for adult, pediatric, and veterinary patients. Highly trained pharmacists and technicians use only pharmaceutical grade USP and FDA approved chemicals in all formulations. Our specialties include customized hormone replacement therapy, pain management, hospice care, sports medicine, specialized pediatric dosage forms, and veterinary compounding. With over 25 years of specialty compounding experience, and the largest retail surgical department in the area, Liberty Drug is uniquely able to provide all of your health and wellness needs. 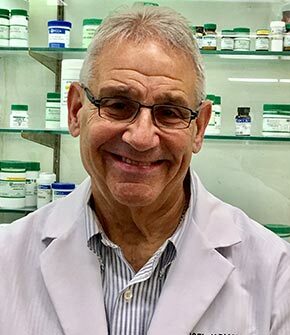 Alan was born in Jersey City, and graduated from the Brooklyn College of Pharmacy at Long Island University in 1968 with a BS in Pharmacy. Alan has owned Liberty Drug since 1986. He is an ongoing member of the NJ Hospice and Palliative Care Organization (NJHPCO), Board of Garden State Pharmacy Owners, Professional Compounding Centers of America (PCCA), the International Academy of Compounding Pharmacists (IACP) and has served as past president of the Chatham Area Chamber of Commerce. Dana Noblett is a pharmacist who has specialized in human and veterinary compounding since 1986. He is a graduate of Brooklyn Technical High School and St. John’s College of Pharmacy (1971). Dana works closely with Neonatal Intensive Care Units at Morristown Medical Center, Overlook Medical Center and Saint Barnabas Medical Center. He has also collaborated with veterinarians and veterinary technicians at the Bronx Zoo to provide appropriate dosage forms. He is currently working on a new delivery system to treat ear conditions in canines. Dana Noblett lives in Westfield, NJ. 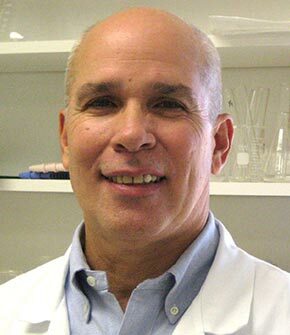 Joel is a licensed, registered pharmacist in New Jersey, since 1968. Joel graduated from Rutgers College of Pharmacy in 1967, first in his class with highest honors. Joel owned and operated Charles Pharmacy in Morris Plains until 1975 and Leonia Pharmacy in Leonia, NJ until 1994. He continued to work in community pharmacy after selling his business. In 2000, he began his current tenure at Liberty Drug & surgical. Joel is a hospice specialist, concentrating on all pharmaceutical concerns of the hospice patient. These include specialty compounding and consultation with doctors and nurses on issues such as pain and symptom management unique to terminal patients. 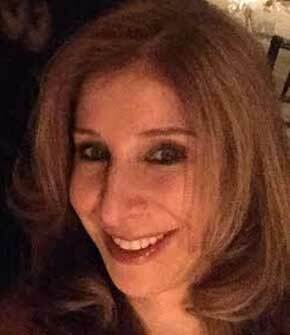 Michele is a licensed pharmacist in the states of New York and New Jersey. She graduated from Northeastern University in Boston, MA in 1993. Michele is certified by the Council of Homeopathic Certification Program as a vitamin/homeopathic counselor and has completed programs such as the Solgar Vitamin Program, Complementary & Alternative Medicine with Med2000, and programs with the Botanical Research Institute in Santa Fe, NM. Michele has also been a guest speaker alongside Dr. Richard Podell on WOR Radio. Her specialties include weight loss and management, cardiovascular disease, diabetes, cancer, candida, thyroid imbalance and pediatric health. Michele’s goal as a nutritional pharmacist is to individualize a workable plan for each patient to maximize their health while providing education about wellness therapies. Some of the services Michele provides include: one-on-one patient consultations, hormone level evaluation and counseling, diet/food plan regimen assessment, prescription-supplement regimen assessment and fitness program assessment. Frank was born and raised in Livingston, NJ where he graduated high school in 1980. He found his passion while growing up, working in his father’s pharmacy and soon went on to attend Massachusetts College of Pharmacy where he graduated in 1985. 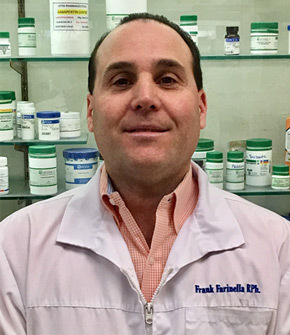 Coming from a family of pharmacists, whose father, brother and sister-in-law are all pharmacists, Frank has a special interest in community pharmacy. 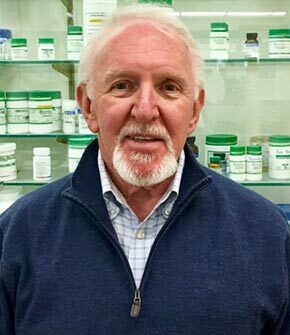 He and his brother have owned a number of community pharmacies including, Plaza Super Drug in Manalapan, NJ, Ridge Pharmacy in Basking Ridge, NJ, Bernardsville Pharmacy in Bernardsville, NJ and Terry Drug in Bloomfield, NJ. Today, Frank continues to share his interest in community pharmacy at Liberty Drug, and lives in Livingston, where he and his wife raised their two children.